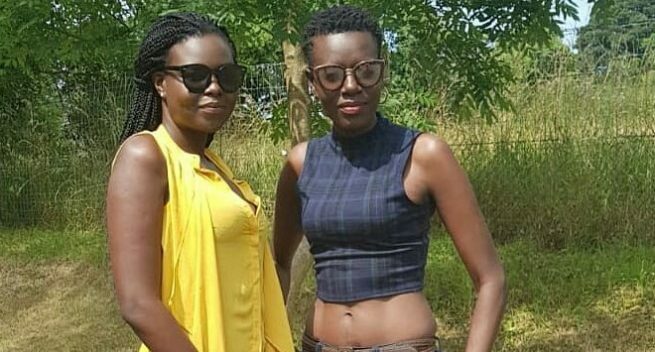 THE late music icon Oliver “Tuku” Mtukudzi has been widely regarded as a unifier, an exemplary father figure, but events at his burial in his rural Madziwa home yesterday suggested otherwise, as his estranged first wife, Melody Murape, was frozen out of the proceedings. Instead, everyone from government officials and close family members chose to only recognise Tuku’s surviving spouse, Daisy Mtukudzi nee Mashonga. Melody, who is the mother of Sandra and Selmor, was left out during introductions and other proceedings by the family spokesperson. It only took Tuku’s first born, Sandra, to announce her mother’s presence when they were introduced to the mourners. Even the State-prepared obituary omitted Melody, as it presented Daisy as the first and only wife of the late music icon, with Selmor and Sandra being mentioned once, while pictures of Daisy’s children were plastered all over the national hero’s obituary booklet. “I am so humbled by the love that you have showed for our father. This father is for us all. I want to share with you one thing that my father has taught me. He was a unifier who has left us united as the children, so I want to thank him for that. I thank you, I love you my sisters,” Sandra said. “My father has unified us as children and even some people whom we had not seen for years, I just want to thank him for that. I want to acknowledge the presence of my mother, as my father was married before to my mother, Melody Murape. It happens, it’s not a big issue,” Sandra said, drawing thunderous applause from mourners. So tense was the environment that Melody, who was clad in her black and white church attire, could not even get close to her ex-husband’s coffin as it lay in state, following proceedings from the crowd. In her address, Daisy saluted President Emmerson Mnangagwa for conferring national hero status to her husband. In a recent interview with NewsDay, Melody said although she long parted ways with Tuku, they still had affection for each other. She disclosed that she walked out of the relationship in the late 1980s in protest over Tuku’s decision to marry a second wife.